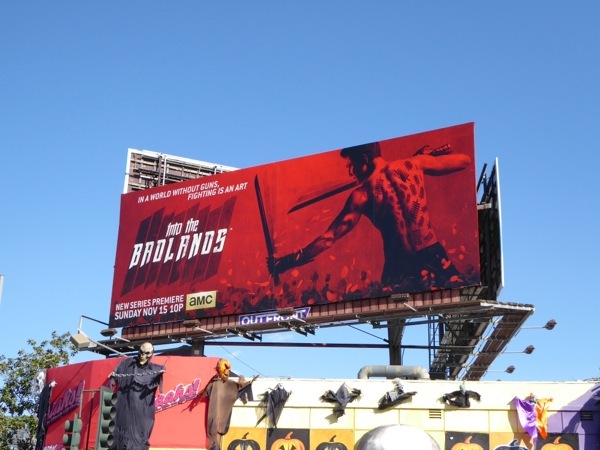 Sunday evenings just got a bit more deadly, as not only do you have to survive The Walking Dead on AMC, but now it's also time to venture Into the Badlands. 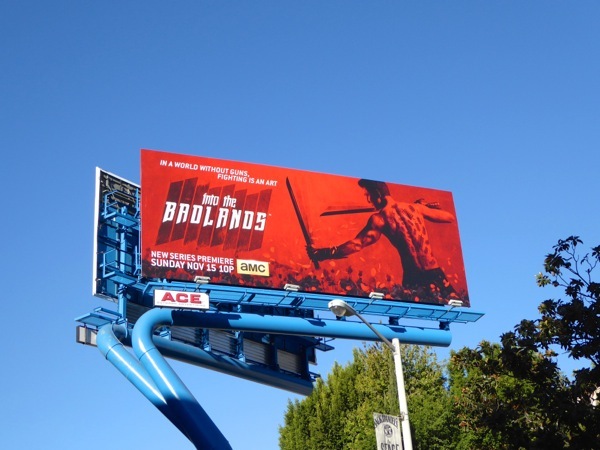 Set in a feudal post-apocalyptic future ruled by Barons and their armies of trained assassins (known as Clippers), the new series starring Daniel Wu as the most lethal Clipper 'Sunny', shines a spotlight on martial arts in a world where guns are outlawed. 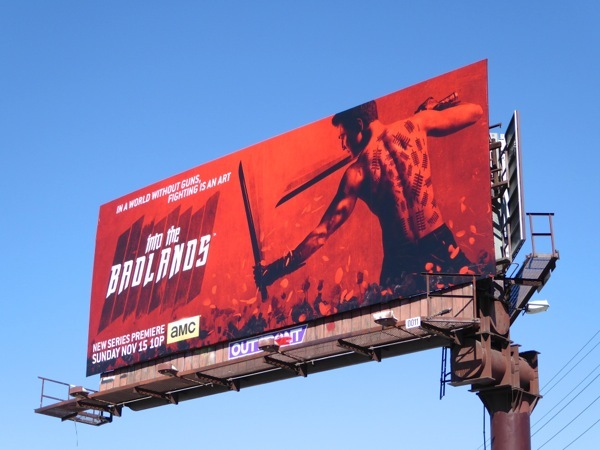 As a new upstart Baron threatens the balance of power in the Badlands, Sunny rescues a teenage boy (played Aramis Knight) who has a dark secret and a bounty on his head, but who who may also hold the future of everyone in his hands. 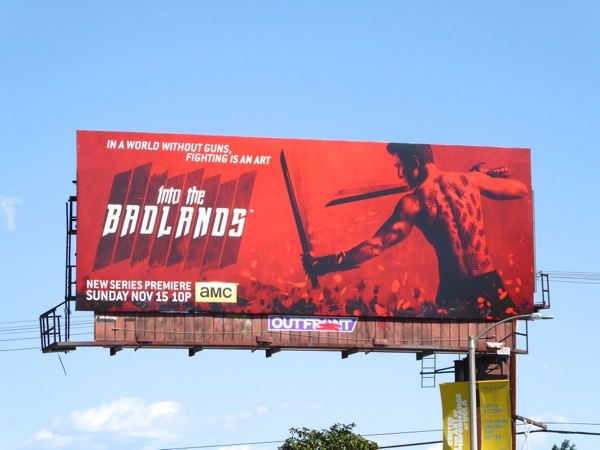 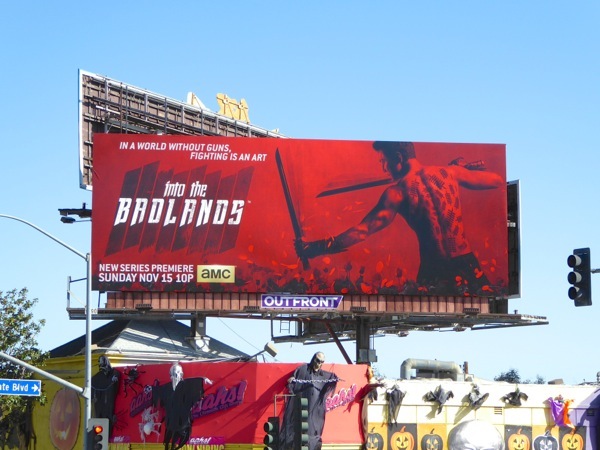 These striking series launch billboards for Into the Badlands were snapped along Sunset Boulevard, Vine Street and Beverly Boulevard from October 21 to November 7, 2015. 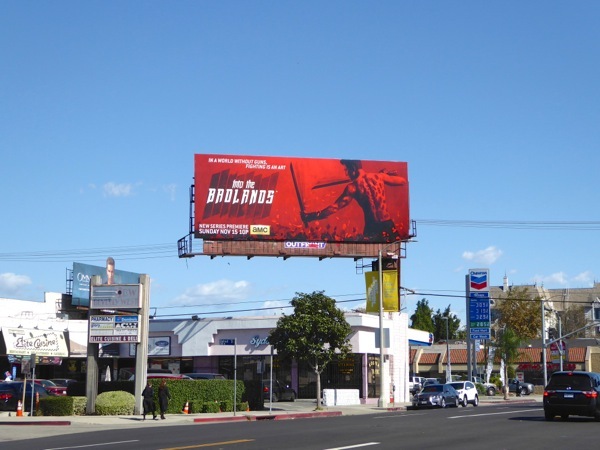 For more great examples of this bold red style ad creative, be sure to also check out these season two billboards for The Americans, this giant billboard for The Red Road TV series, these Witches of East End season two billboards and this outdoor ad campaign for The Call movie. 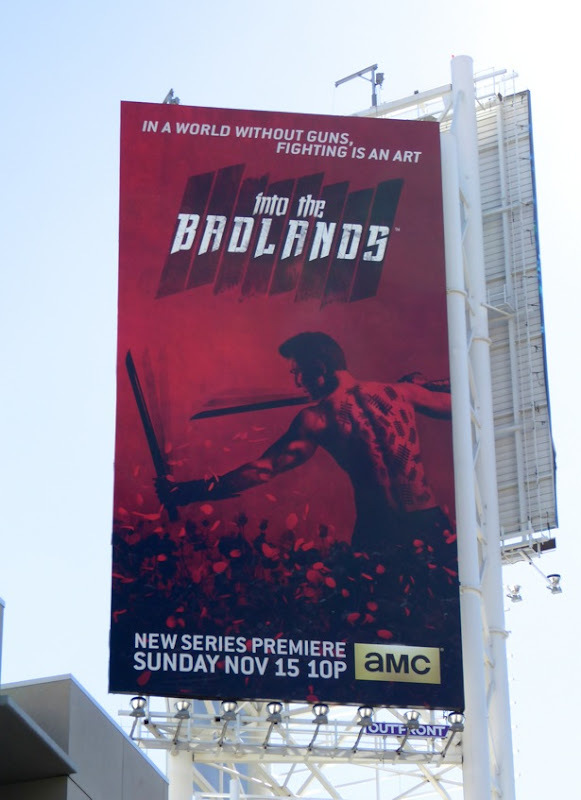 If you're a fan of hand-to-hand kung fu combat, the art of sword fighting, honorable quests and wirework stunts, then it sounds like you'll enjoy delving Into the Badlands this season.